So first off I want to say that if the show of Outlander had never been made I prob wouldn't be doing this review right now. As I prob never would have picked up these books. But now that I'm addicted to the tv show I have an entire shelf dedicated to all things Outlander. The book vs. the show is always a fine line. But for once I really LOVE what they did. Each installment has its own merits and its own drawbacks. So as for the book I think that it was a solid 4 stars for me. As parts of it were long winded and well some of the parts which were changed in the show I just liked better. But I will be reading the rest of the series. So if you love historical fantasy make sure to check this one out! 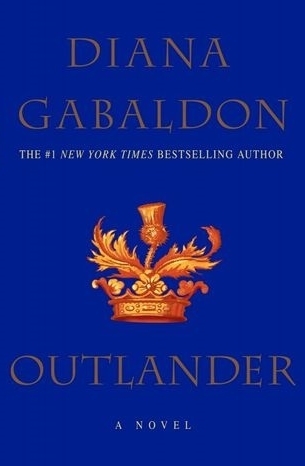 Well go into this one knowing that the only fantasy in this book is Claire going back in time. The rest of the book is just plain historical romance fiction.